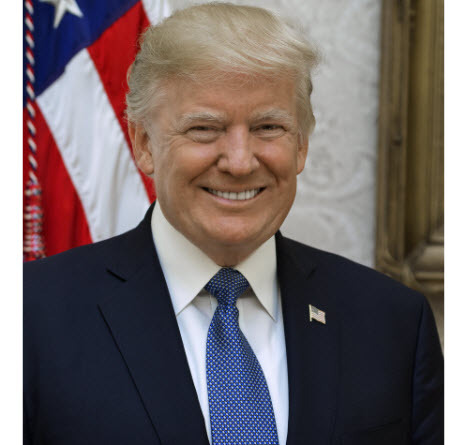 President Trump is putting ecommerce companies and shipping carriers on notice with the signing of a Presidential Memorandum on Combating Trafficking in Counterfeit and Pirated Goods today. The President called out third-party marketplaces in citing the dangers and negative effects of counterfeit and pirated goods, but he also called out shipping carriers, payment providers, and vendors. He called on the Secretary of Homeland Security, in coordination with the Secretary of Commerce, to provide him with a report detailing the issues along with recommendations within 210 days (the end of October). “The report should address the practices of counterfeiters and pirates, including their shipping, fulfillment, and payment logistics, and assess means of mitigating the factors that facilitate trafficking in counterfeit and pirated goods,” he wrote. And the agencies should “consult with intellectual property rights holders, third-party intermediaries, and other stakeholders” when conducting their research. President Trump wants the report to include recommendations for more effective detection, interdiction, investigation, and prosecution regarding trafficking in counterfeit and pirated goods, including trafficking through online third-party marketplaces and other third-party intermediaries. In describing the scale of the problem, President Trump cited an OECD report that he said estimates the trade in counterfeit and pirated goods to be approximately half a trillion dollars per year, with roughly 20% infringing upon intellectual property belonging to United States enttities. Large brands are sure to be delighted to see the Federal government turn its attention to the problem of fake goods. It’s unclear exactly how the attention will impact marketplaces, payment providers, shipping carriers, and ultimately, US online sellers. You can find the memorandum on WhiteHouse.gov. Greedbay could care less. Its all about the bottom line. Mr Trump, if you want counterfeit data just go to Ebay and do a search, the first 10 pages will be fakes from china.